XENIA — The founder of Montgomery Insurance & Investments has died. Robert T. “Bob” Montgomery, 86, was born and raised in Xenia. A Korean War veteran, husband to Dorothy and father of four, Montgomery opened the doors of the family business in 1956. He died Nov. 15 surrounded by family. His insurance career began at Ray Cox Insurance Agency before founding Montgomery Insurance. His agency grew in the number of team members and into more areas of insurance and financial services. Family members joined him in the business over the years — including two sons, a brother, a granddaughter and a grandson-in-law. Montgomery received the “Agent of the Year” award from the Travelers Insurance Company in 1982, was a lifetime member of the Travelers Insurance Company National Leadership Club, and received their “Quality of Life” award in 1995. Montgomery Insurance celebrated its 50th year in 2006. But Montgomery is known locally not only for his successful insurance career. His legacy lives on in the pockets throughout the community in which he served. Alongside his wife Dorothy, he developed the Stephen Ministry, led a men’s prayer group and taught Sunday school at Faith Community United Methodist Church. He was also a member of the Xenia Elks Lodge #668, served on the Xenia Area Chamber of Commerce, and on the board of the Ohio Veteran’s Children’s Home. The organizations that have benefited from his leadership and generosity throughout the years are countless. He also received numerous awards in his life — including the prestigious E.J. Nutter Award in 2002. And he always called Xenia home. In 1974, after the tornado hit, he led the Spirit of ‘74 committee to restore his hometown Today, the business he created on South Detroit Street is one of the largest insurance and investment firms operating in Greene County. 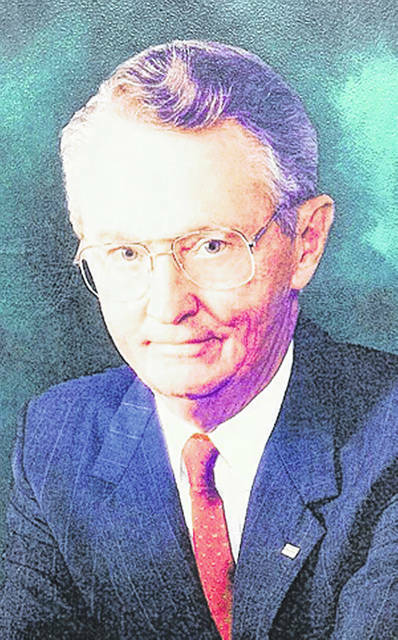 His wife, children, grandchildren, great-grandchildren — and the clients he served — will remember him as more than a great businessman.